If you have a water leak in your concrete wall, you need to repair it as quickly as possible. Moisture in basements or other areas where concrete walls are present can cause extensive damage. 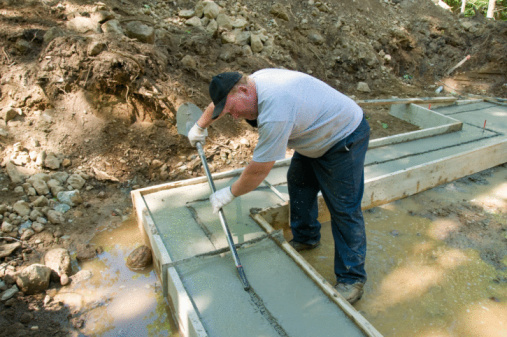 Not only can water threaten foundational integrity, but it can also create an environment where molds can grow in the porous concrete surface. You can use several different techniques to help seal a concrete leak. Repair concrete cracks with foams, mortars or epoxies. Polyurethane foam can seal concrete leaks if the leak is large enough to be filled with the foam. Polyurethane foam is a closed cell foam compound that expands and hardens, making it ideal for fixing concrete problems. The closed cells of the foam make it waterproof against further moisture problems. Foam products are also relatively easy to use on concrete walls and can successfully bond to concrete surfaces. Patching mortars are cement-based substances that you can use to patch cracks or other flaws in your concrete walls. These products are ideal if you want to create a smooth surface that matches the rest of your concrete wall, making the leaking area far less noticeable. Manufacturers add compounds to these mortars that help them expand and bond to the concrete already present so they keep the leak from recurring. If you have very small cracks in your concrete wall, use a sealant or a brush-on compound that you apply to the wall like paint. 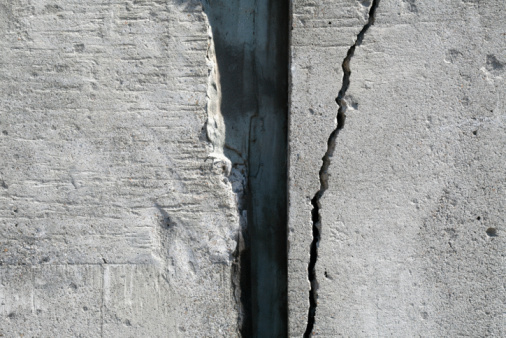 If a concrete crack is moving, the crack can also split open the sealant; so only use sealants in situations where the leak is a stationary problem. You can also use these sealants to help add protection to cracks you have already filled with mortar patches or foam. A number of different epoxies are designed to help bond different layers of concrete together and fix leaking problems. Epoxies are plastic resins that start out as fluids when mixed, but then dry to a hardened surface that can easily bond to concrete. These epoxy glues not only help solve leaks but can also prevent further cracking problems. What Happens When You Use Paint Thinner on Concrete?